Few years back I noticed that most of the people that are walking the streets in Herzliya Israel, have their face looking down to their cellphones. They looked to me as "question marks". Recently I see more and more drivers stopping their cars in the middle of the road/street, facing down to their smartphone, not noticing that they are few feets away from the side of the road. I call them "Stuckies". Both "question marks" and "Stuckies" are smartphone zombies. facing down connecting to something far away from them, and disconnecting from their surrounding, missing out what even happens near them. Well it is not just missing out, it is also "Radiation exposure". Smartphones transmits most of the time, especially when surfing or using apps. This transmission it Radio Frequency Radiation(RFR). RFR is considered "a possible carcinogenic to humans" by the International Agency for research on Cancer(IARC), a committee of the World Health organization (WHO). The IARC rolled on this issue at 2011. Since then more studies were published that show that RFR has biological effects and that the non protective, heat based, so called safety standards are insufficient (to say the least). Reduce the use of your smartphone. Prefer the use of wired phones and computers. Turn off the DATA, WIFI, BLUETOOTH on your smartphone. Use the speaker or wired air tube earpiece during conversation and keep the smartphone as far as possible. Most article linked the apple airpods (bluetooth enabled wireless earpiece made by apple) to the story. The linkage between the 250 scientist petition and apple airpods was probably a mistake (the scientist did not mentioned the apple earpods in particular, the named general types or RF emitting devices such as cellphones, tablets, wifi routers, and other) but it would be a mistake to use this mistake to dismiss the possible biological damage such earpiece and other wireless and cellular equipment can cause. Bluetooth wireless earpiece, such as the apple airpods, emits Radio Frequency (RF) radiation and cause the smartphone to communicate back to them (more RF). I see people wearing their bluetooth earpiece all day long. Measurements I did shows that bluetooth earpiece and equipment emits RF radiation all the time Earpiece - https://youtu.be/cjrVecnEwwU . RF Radiation was declared in 2011 by the "International Agency for research on Cancer (IARC)" as a possible carcinogenic in humans. This classification was based on studies showing biological influences and damage cause by RF exposure and even a link between the exposure and cancer in humans. Since then more study (such as the NTP) showed such influences and strengthen the classification of IARC. 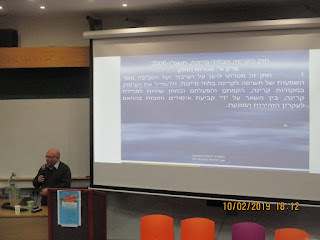 On the last Sunday, the 10/02/2019 I took part of a conversion in Tel Aviv Center for Science Education (HEMDA - Schwartz-Reisman Science Education Center - http://www.hemda.org.il/). The reason for this conversion was a study on the the Conception of the risk from wireless radiation by the public and in paticilure of of the risk from WIFI infrastructure in schools. The study was funded by the ministry of Technology and science in Israel. The Study was set to examine the conception of the risk from wireless radiation and WIFI routers in the public the the influence of the Media, mainly TV over the public conception of the risk, and the way this conception appear on the online media. The researches said again and again that this is not a study on the risk but on it's conception by the public and appearance on the Israeli media and TV. It is important to note that the organizers of the convention knew who I am and what my views are and since the conference was opened to the public they did not block me from taking part. From reading the study, the article about it in the press, it is very clear that the opinion of the study team is that there is no possibility that RF radiation can cause damage or health risk. The Conference it self also started according to this concept and according to it, until it was revealed that it might not be the case. The climent in the conference was that the Television media was to blame for the misconception of the risk from EMF in the public eye. In particular one show from 2016, took the fire ( I took part in this TV article alongside other EHS people, activist and scientists, please see with english CC at - https://www.youtube.com/watch?v=bpJsIWuV-PA&feature=youtu.be). This TV article had a big echo in Israel , and lots of EHS people understand the source of their pain and contacted me and other members of the Israeli EHS community to seek help and support. 1. Put pressure on the media not to broadcast more Tv articles about EMF risk, cell phone risk, WIFI risk and about EHS. 2. Make a point that there is no possible health effect to EMF exposure (once again) and to put those that argue that there is in a shady light. The conference started with the lecture of ENG Moshe Netzer, which is a leading Israeli Radiation specialist who works in this field for more than 40 years and regarded one of the top professionals in the technical field of EMF measurement and protection. It was very clear from his lecture that Moshe does not support the possibility that EMF can push any danger in the low levels of WIFI. He did however, admitted in a way that it is almost impossible to measure WIFI in classes, but he linked that to the low level of the radiation and not to the use of slow RF meters with 2-5 samples each second. Eng. Netzer also told the crowd that he was able to convince a local city council to install WIFI routers in schools when he presented them with the very low levels of RF measured from WIFI routers. Next lecture was from PhD Uri Lerner about the precautionary principle, and about the possibility that warning the public might cause more damage then the polluter it self (Nocebo effect). Next lecture was by Prof' Stelian Gelberg about the approach and way that the ministry of Environment protection handle this issue. Prof' Stelian is the head of Radiation and Noise department in the ministry of Environmental protection in Israel. 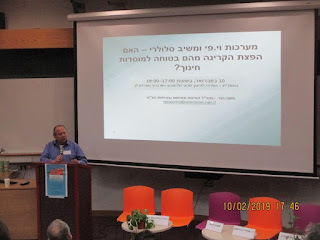 Prof' Stelian said in the past, to a Knesset committee that non-ionizing radiation can cause biological damage but in his lecture there was almost no sign of this understanding. Those with a good ear could find some clues to that in his answers to the open questions. Next lecture was by PhD graduate Keren Daliot who conducted the study. He lecture was on the study and the results. Again it was clear that the study was done based on the assumption that WIFI radiation and RF radiation can cause not health effect. In the beginning of the panel it looked as if it is more of a tribunale judging the media about airing TV reports about EMF health risk and EHS. Most of the fire was aimed to the Ch2 from 2016 that got the popolistic name "how are we killing ourselves: Radiation" (please see link above). I see this criticism as an attempt to put pressure on the TV media not to bring forward future reports about the possible health risk of EMF and about EHS. I think that EHS in particular creates a lot of anger in people that don't believe there can be any health risk to RF or EMF. If our condition is caused by exposure to EMF, it can be the prof they would not like to see, so they put the Nocebo effect as the cause of EHS and try to fight back when we try to warn others. The panel, as the lectures before it, seemed to conduct the discussion under the assumption that there is no chance that EMF , RF or WIFI can cause a health risk. This was suddenly interrupted when Journalist Aviv Lavi said "But this is not what Sidesky said". Lavi said that he had a lot of time with Sidesky during several interviews he did with her and that he have heard her say that there might be a risk, that we still don't know how it is caused or how much the risk, that there is a debay about the possible risk and that giving a cell phone to a child is child abuse. 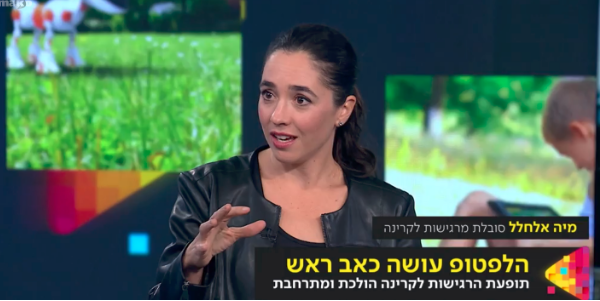 This view of Prof' Sedisky was brought to the public several times during TV Interviews with her (for example here - https://youtu.be/IVvfDNlZoaw?t=96 and here - https://news.walla.co.il/item/2965687 both in hebrew). From here on the discussion continued with that in mind. I think that this remark by Aviv Lavy stopped the attacks made on the media and the discussion moved to what we can do to reduce the exposure. On the open question part we (me and 2 other EHS/Activist and one nonEHS activist) asked question. My question to Prof' Ayelet Barnea-Tzubery was "do you think your position that there is no possible risk to EMF exposure, that we now understand is not the opinion of all the scientists in this field, influenced the data gathering and processing in this study", she answered a quick "No, we had to people examining the data in a binary way" , I replied "yes but both believe there is no risk. The other activist also asked questions. At the end of the panel discussion, the host asked Prof' Stelian Gelberg to answer "Yes" or "No" to the question can she sleep with no worries about the WIFI use in schools. He paused for few seconds and then gave a short lecture about the ministry activity in ELF-M, RF from mobile phone masts, and WIFI in schools, closing it up with "of course". I understand his answers as "we are doing what we can". 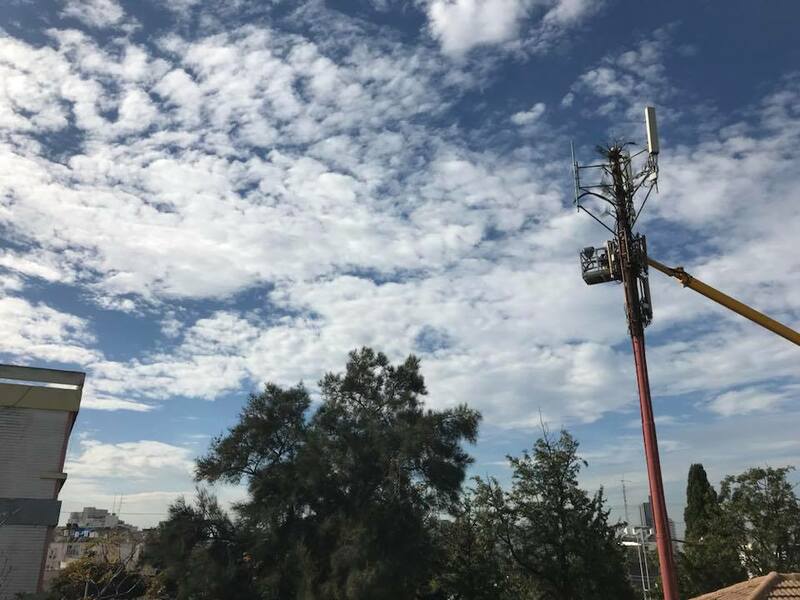 In front of ORT HOLON, a High school in the city of HOLON in Israel, a cell phone mast was erected 23 years ago. With the increase of Data usage, the exposure levels of the kids went up every year. 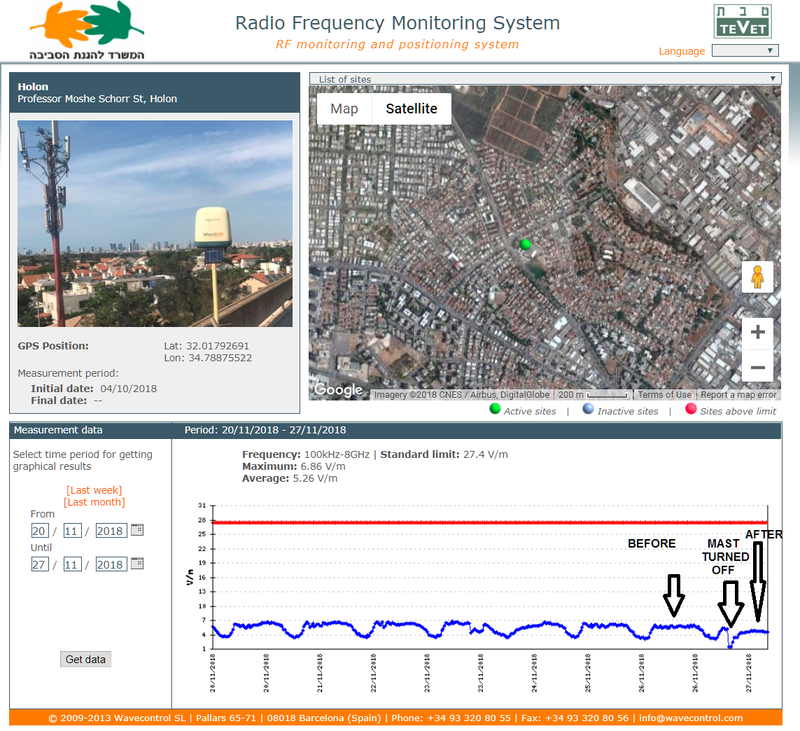 last year, the parents noticed that most of the kids (59%) had symptoms that can be related to the RF exposure from the cell phone mast just 20 meters from the school. They conducted a survey that shows 59% of the kids has symptoms. about 19% already visit their doctor in relation to these symptoms. Since the parents understood this is not just one or 2 kids, but most of the kids, they started to fight for the removal of the mast. 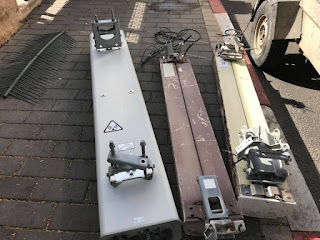 Two weeks ago, after a meeting in the Knesset Internal affair and environmental protection committee, 3 antennas that faced the school (outs of a total of 9) were removed. The measured/monitor radiation levels went done just 30%. Side lobes and reflection steel seems to hit the school. Now the parents call for complete removal of the mast. Yesterday they got the support of the Knesset Education committee that called for the removal of the mast in no more than 3 months. 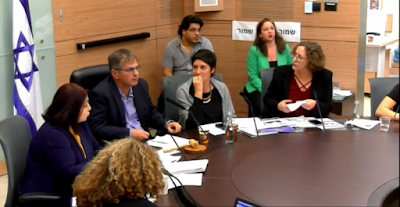 Knesset Education Committee - 24/12/2018 - "remove the antennas in front of ORT HOLON in 3 months"
Today (24/12/2018) I took part in the Knesset Education Committee. After a 1 hour discussion, the committee called for the removal of all the mast in 3 months. This is after kids in this scall developed radiation sickness symptoms (about 59% according to a survey done by the parents ). This is what happens (and will happen again and again) when the standards are based on heat only and are high and non-protective. Press the "CC" button on the video youtube GUI to select English subtitles. 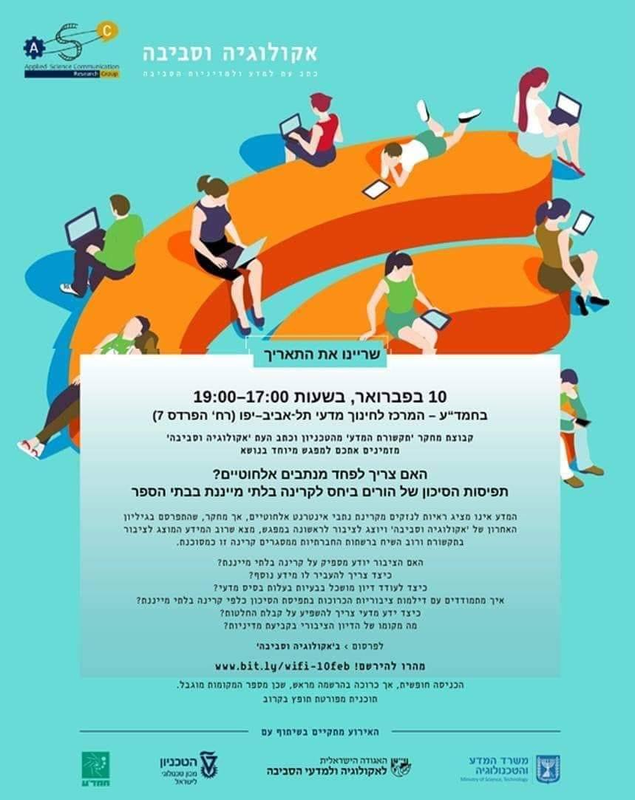 Maya Elhalal - Founder, CEO, Entrepreneur and one of the leading high-tech women in Israel came out the electric closet this week with her Hebrew-English post over Facebook. Maya knocked on my door about half a year ago. Maya is a leading technologic woman, Founder, CEO, Entrepreneur and a consultant in health- longevity field. She then came to an EHS support meeting. In this meeting, she talked about here symptoms that appear when using smartphone and other wireless devices. She told me about her life that was put to a hold and about here understanding that the symptoms she endures are caused from exposure to EMF radiation, mainly but not only, RF. I Then started with a preview to handling EHS 1on1. I explained about types of EMF, about measuring EMF, reducing exposure and protection. In addition, we talked about ways to handle EHS, about science and public activism for EHS and EMF health effect acknowledgment. Maya promised that when she will land back on her feet, she will do whatever she can to support the fight for EHS acknowledgment. Maya then started to learn about EMF, to measure it, to reduce exposure and to use RF protection. Maya found a new house that was low RF and she then set it up according to the best practices of a low EMF house using only wired technologies. Slowly Maya got back in control of her life and her EHS condition. Her learning curve was very stip and the results were fast to come. Maya started to feel better and is now coming forward to help others! On the 15/11/2018 Maya talked in front of the internal affairs and environmental protection committee in the Knesset (Israel Parlament) regarding the mass EHS case in ORT HOLON where a cellphone mast was installed 20 meters from the school, and about 600 students developed EHS symptoms. Om Saturday 1/12/2018 see published the Facebook post (Hebrew and English) that up to now was shared more than 238 times and had 360 comments (not all were supportive). And on the 6/12/2018 she was interviewed about the post, about EHS and cooping with it in "NEXT" TV show in "MAKO" TV. In the picture - Maya in NEXT TV show on MAKO TV. Progress or Spin in ORT HOLON - The 3 antenna panels that were facing the school were removed - RFR level still high! Last week the 3 antenna panels that were facing the school were removed. RF measurements done by the parents in the school and a monitoring equipment on the roof show the levels of RFR were cut (by about 50%) but are still high. The level is too high for students that already developed symptoms and are more sensitive. In addition, they are not low enough for the temp protection that was installed to be removed. I explained to the parents that the levels will stay high because of side and back lobes and also reflections from the building next by since there are still active panels which are not facing the school. I told the parents to expect kids that got sick, to continue to suffer from symptoms. Although the strick is over at this point in time, the parents told me that they will continue to fight for the removal of all the mast in other means. 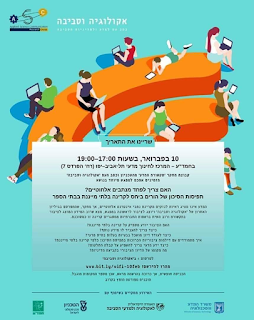 The science and technology committee in the Israel parliament (KNESSET) meeting about "the careless deployment of 5G"
Yesterday, the 20/11/2018, together with Prof' Ben Ishay, MD Yael Stain, Itamar Wagner, Batzion Shlomi, Shay Danon, Adit Aaron, I attended a meeting about the "the careless deployment of 5G". The meeting was called by KM(Knesset Member) Yael Cohen Pharan and lead by KM Uri Makleb. 1. As far as EHS being Nocebo effect, this wrong assumption is based on faulty studies that exposure EHS people to several types of EMF even where there was not supposed to be any exposure, and on studies that exposed EHS people again and again without enough resting time between exposures. 2. As far as the saying that "more cell towers lower the radiation", yes they do so for the radiation from the cell phone but they add environmental radiation which is not measured correctly and not taking into account because it is lower than the so-called safety standards. 3. I explained that most of the people that come to me for help have no idea of what radiation is, how when and from what it is being transmitted and how cellphone tower looks like. So this also roll out nocebo effect. 4. It is possible to reduce exposure in simple steps and it is easy to set up the phone to radiate in lower levels, for less of the time. 5. My main point was that EHS people are being ignored and no one count or calculate the economic toll of their condition in the total economic calculation of deploying and using cellular and wireless technologies. Adit Aaron - 12:30 - talked about her experience with symptoms of EMF exposure, then cooping with brain cancer and then becoming an activist trying to help others. 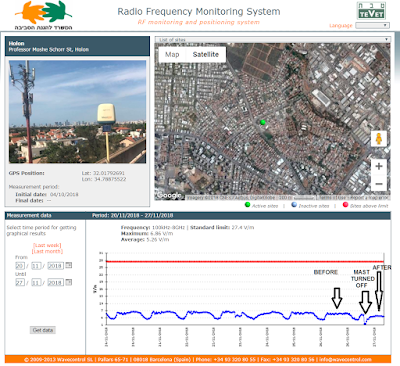 Itamar Wagner - 27:30 - talked about the activities against cellphone antennas and about the danger of exposure to RFR. Md Yael Stain - 32:50 - Talked about EHS, EMF health risk, and effect, about the other voices that say "all is good" and about her medical and scientific history in this field. Prof Paol Benishay - 1:14:25 - Talked about his findings (in his study of 5G mm-wave frequencies) , about EMF health effect and EHS. Amir Borenstein - 1:32:09 - Please see above. Shay Danon - 1:52:20 - Talked about moving to the far north part of Israel to avoid the radiation, living in a low EMF house, and about our obligation to do the right thing for the sake of our children. Batzion Shlomy - 1:56:21 - Talked about not using cell phones and wireless devices, about refusing a water smart meter and getting fines. Batzion continued to describe her communication with Prof' Sigal Sedesky about the health risk of RF radiation and cellphone in particular. Knesset (Israel Parliament) committee meeting about the cell tower next to ORT HOLON - "Remove the antennas tomorrow morning"
Yesterday I attended the Knesset (Israel Parliament) committee meeting about the cell tower next to ORT HOLON. In the meeting, the problem of the cell tower next to the ORT HOLON school was presented and diseased. The parents presented their case and talked about the suffering of the kids in school. 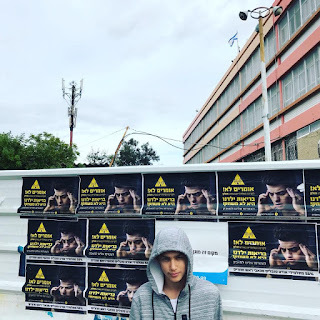 Both the parents of the late Itai Peretz talked about this griff and about the symptoms Itai (my his soul rest in peace) suffered from before he got sick, with leukemia. 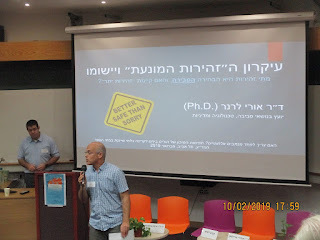 In the meeting, Maya Elhalal, e leading Israeli high-tech interposure and consultant to the ministry of health talked about his EHS condition in support of the parents of ORT Holon and the kids. She argued that the science today already inform us that EMF radiation causes biological effect well under the so-called safety standards limits and that we can do better than what we did about smoking and asbestos, and lead. The represented of the cell phone forum (PR body of the cell phone companies) was willing to dismantle the 3 antenna panels that face the school but said that the rest of the tower have to stay and this will be done only if the parents will stop their protest and strick. The head of the committee summaries the meeting and said the committee will send a letter to the cell phone companies to dismantle the 3 panels addressing the school "tomorrow morning" (meaning very soon) as a first step while they should start the relocation process of the remaining cell phone tower. Last week there was a meeting between representatives of the Environmental Protection Ministry, The city municipality, the school management, ORT schools network management in Israel , and the parents of students in the ORT HOLON school. About 20 years ago, a cell tower was erected next to the school (20 meter from it). This year the parents finally noticed that their kids suffer from headaches, nausea, fatigue and other radiation sickness symptoms. Last year one of the students in this school died from cancer. The parents went on a struggle to take the tower done and they are on a two month strike in order to achieve that. I saw few parts of the meeting on videos and was sorry to see that all the official representatives were addressing only the quick return of the kids to school and not the removal of the antenna. 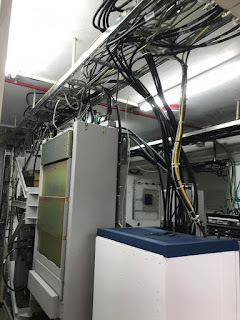 The ministry representative, Prof Gelberg told the parents all kind of technical stuff that were not accurate and very simplified and somewhat misleading, like for example that he prefer cellphone towers on public buildings and that bellow and above the main lobe of the antenna there is no radiation (neglecting side lower/higher beams - see picture below). He also argued that the ministry is responsible only to the radiation and measurement side of the antenna, forgetting to note that the standards used are based on heat only and are not protective of humans, that the measurements are done by slow meters and therefor give partial results. 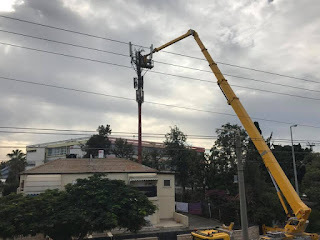 I saw the municipality representative saying they can't do anything to help, that the tests are OK and the antenna have all the documentation (other municipalities helped in the past by finding problems in the structure or the infrastructure around the antenna and demanding it to be remove on that ground). Then the representative of ORT said that all they want is the return of the kids to school in the quickest and best way (but what about the kids that are already sick and the kids that will be sick from the radiation? ). During the meeting there was a protest outside the school. There is going to be a meeting in the Israeli parliament this week (15/11/2018) about this issue. In the meeting we expect to hear the same "not my responsibility" talks, but we hope to say the truth: Standards are high and non-protective, measurements are not done adequately, people are getting sick and everyone else just want to continue with their daily rothin.